Home > PAPER & BOARDS > Gator Board, 23 x 31 x 1/2"
Artists use Gatorboard as a lightweight, rigid drawing board, excellent for stretching watercolor paper. May also be used as a painting or pastel surface when primed properly. Makes a lightweight substitute for Masonite. 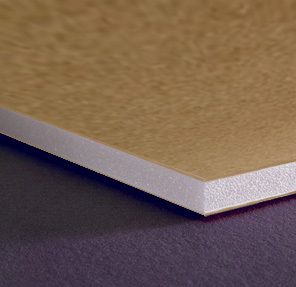 Made of extruded polystyrene foam board encased between wood fiber veneer. 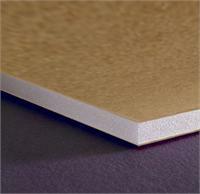 Rigid, durable with a harder outer surface than other foam core boards; resists warping and is water-resistant. A good choice for non-archival applications, where strength and light weight are important. Natural kraft finish.